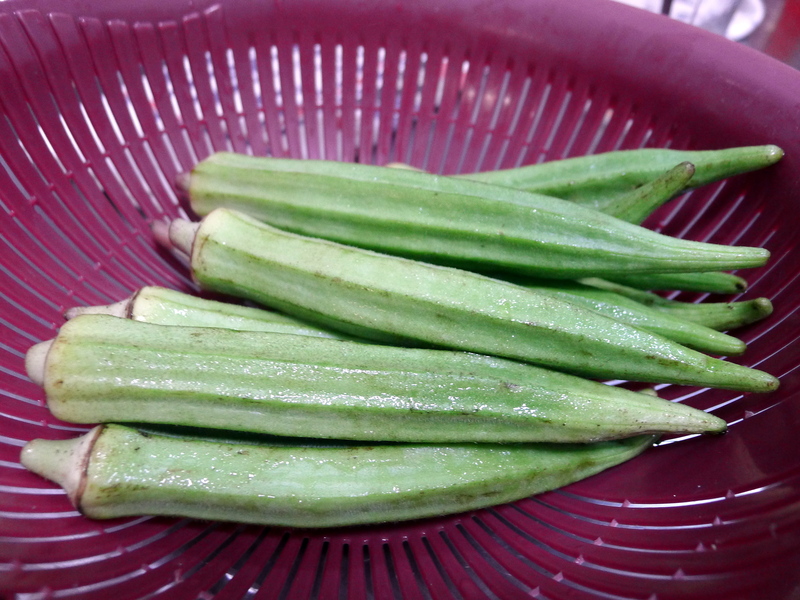 Okra, also know as lady’s fingers, is quite popular in Mediterranean and Asian cuisines. I have usually eaten them in stews or curries, but I think this vegetable is delicious enough to stand on its own. I picked up a bunch at my local wet market and decided to do a simple and light saute. 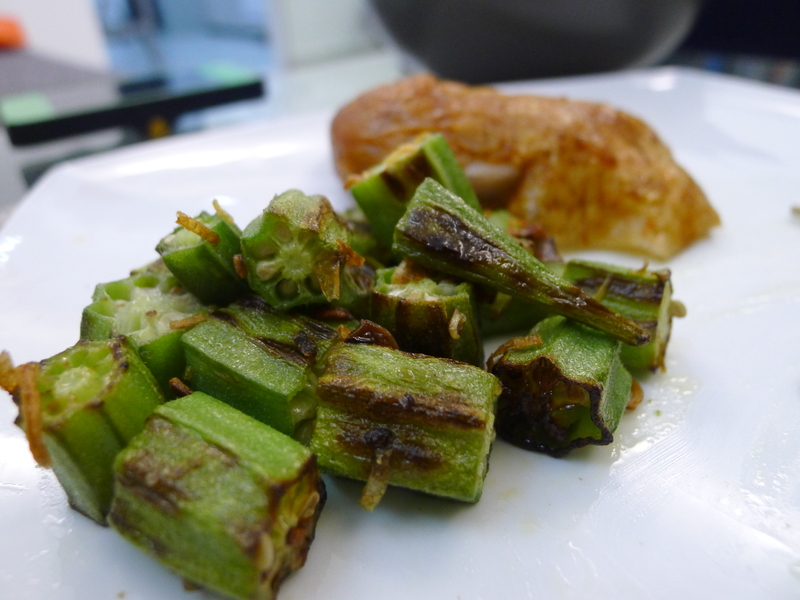 I had never cooked okra before and so was a bit caught unaware with the gooey mucliage of the plant. You can minimize the “sliminess” by keeping the pods intact and cooking briefly via stir-frying. Adding acidic ingredients such as a few drops of lemon juice or tomatoes can also help. 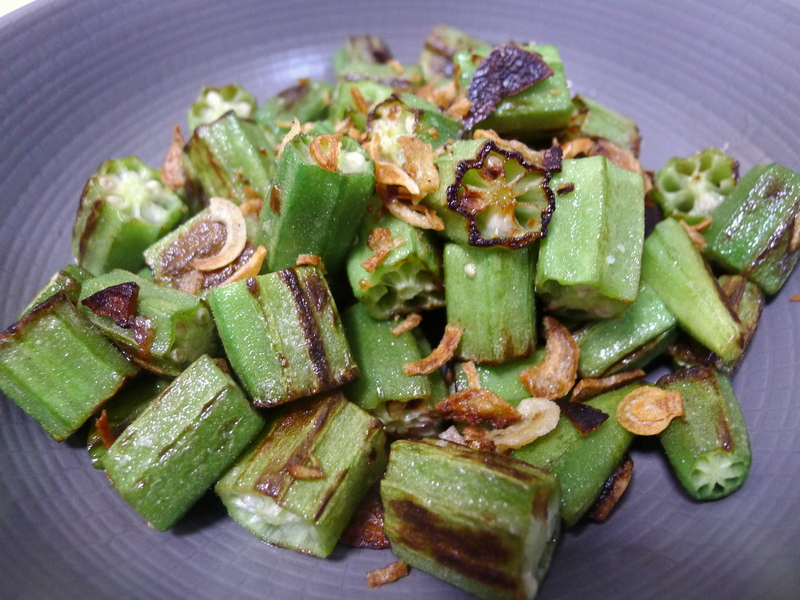 My favorite part of preparing okra is how the vegetable turns a beautifully vibrant green when it is cooked; it makes it even more appetizing. In a large skillet, heat the olive oil over medium heat. Add the sliced garlic and sauté for 30 seconds. 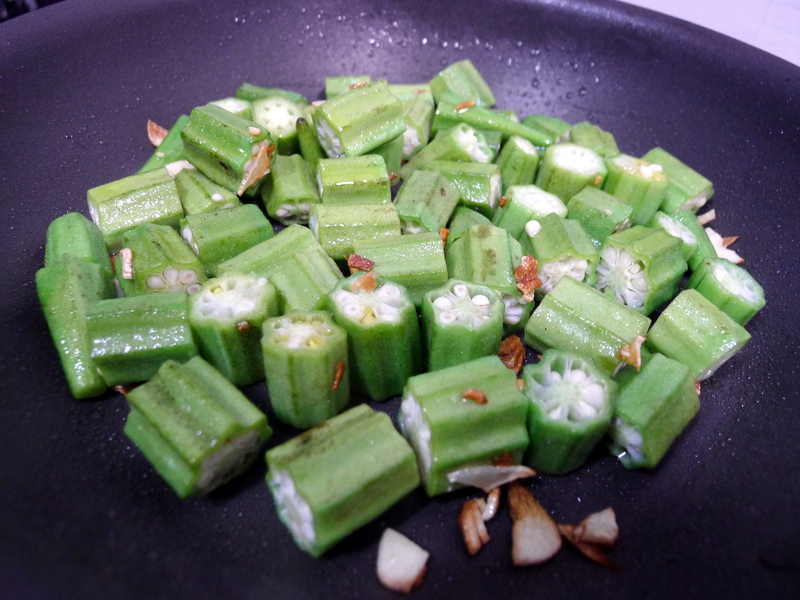 Add the okra, stirring occasionally until tender but still crisp and brightly colored (6 to 7 minutes). Season with salt to taste. Optionally, top with some fried shallots.